The Model 5828A Amplifier provides 10dB of gain with a 23 ps risetime. 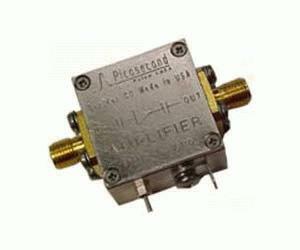 This is an AC coupled, inverting amplifier with an ultrabroadband frequency response from 50 kHz to 14 GHz. This amplifier is unconditionally stable, and several can be cascaded for higher gain. It is ideal for 10 Gb/s systems.